Kilkaari, The Art Co. is an art company that brings together artists and art enthusiasts. You can attend workshops, and network with art lovers at their events, as well as volunteer with them. Many of us are intrigued and fascinated by art but rarely do we attempt to create art. So, Kilkaari, The Art Co. is here to help us with that. 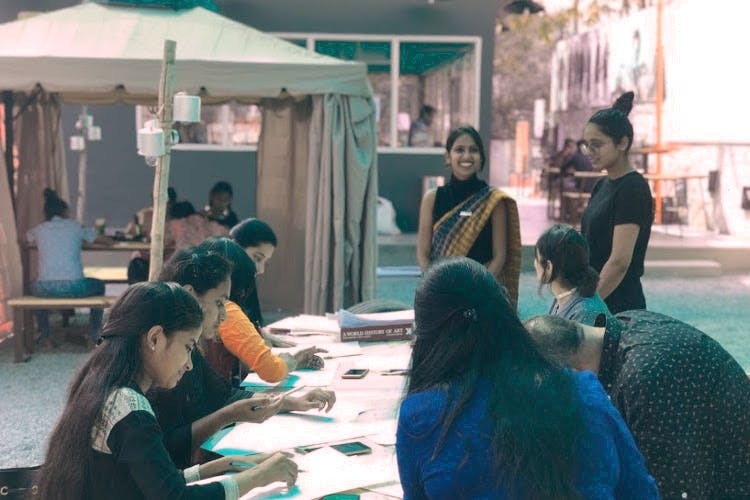 Sreemukhi Mekala and Aman Preet Kaur, the founders of Kilkaari, host workshops exploring various art forms that include sculpting, mask-making, print-making, stamp-making, painting, and product designing among others. No matter your age and professional background, you can join in and have some artsy time. Having been around for just six months, this local art community is receiving a lot of love from its attendees and is successfully giving wings to their imagination. The workshops are pocket friendly, falling in a range of INR 500 - INR 2,000. This is a platform which facilitates you to connect with the right people, and to learn new skills. However, the other reason why we love Kilkaari is because they bring a change in society by making art seminars, equipment and a colourful atmosphere available to underprivileged children in remote areas. The best part is that you can be a part of this cause too and volunteer with them to spread smiles.